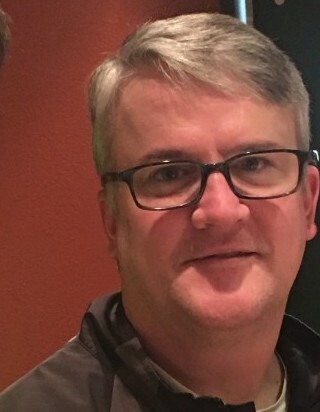 Matthew John "Matt" Twigg, age 50, resident of Arlington, Tennessee, departed this life Sunday, March 17, 2019 at his residence. Matt was born June 10, 1968 in Atlantic Beach, Florida, the son of Bruce R. Twigg and Carol Guggiari Twigg. He was a graduate of Millington Central High School Class of 1986 and received his associate degree in mechanical engineering from State Technical Institute in Memphis. He loved sports and was an avid fan of Miami Dolphins football and the Memphis Tigers. Matt leaves to cherish his memory, his loving family, Alex, Carson and Eleanor Twigg; Bruce and Carol Twigg; Michael, Nancy and Lydia Twigg. The family requests that memorials be directed to Global Sports Foundation, 31 Halfmoon Court, Suite 100, The Woodlands, TX 77380, Life Choices of Memphis, 5575 Raleigh LaGrange Road, Memphis, TN 38134 or The Wounded Warrior Project, 4899 Belford Road, Suite 300, Jacksonville, FL 32256.